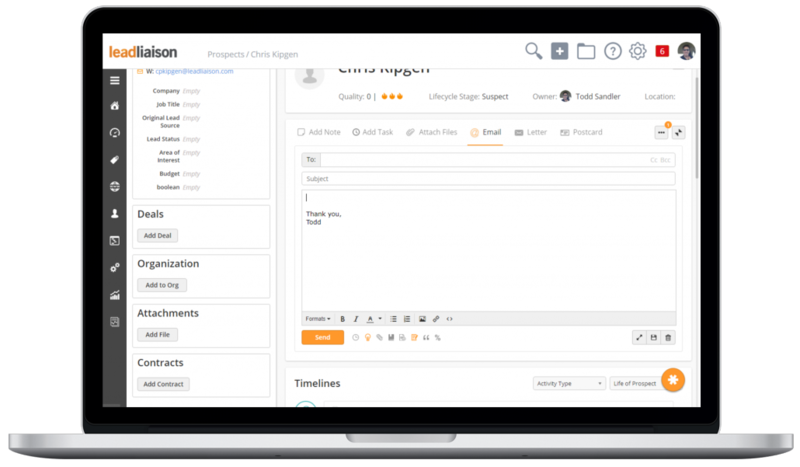 We make life easy for sales reps, enabling businesses to sell more with less effort. 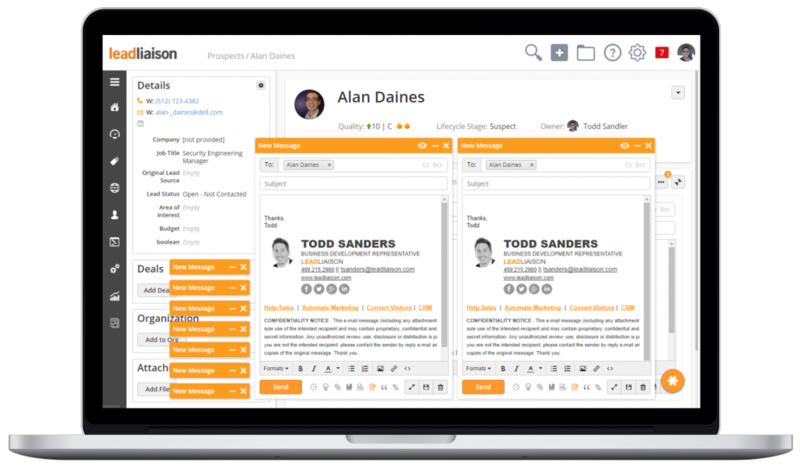 Lead Liaison created a suite of sales solutions to make life a whole lot easier for sales reps. 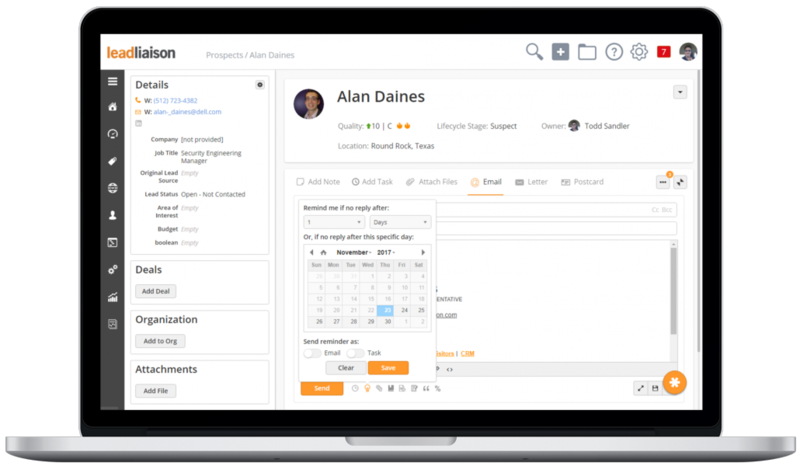 Whether you’re a seasoned rep focused on Account Based Marketing (ABM) or a business development rep focused on prospecting, our solution will enable you to sell more with less effort. Using systematic processes to accelerate sales will give your company the edge you need to win big in a competitive market. 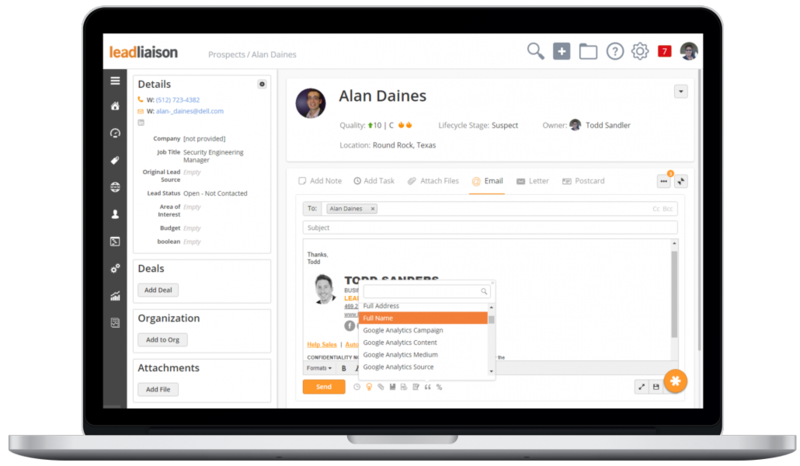 Our Sales Enablement solution allows Broadleaf Commerce to create and sync all emails from their sales team. They now have a full picture of when a customer comes “in the door,” what they are interested in, and how they personally interact with their brand. 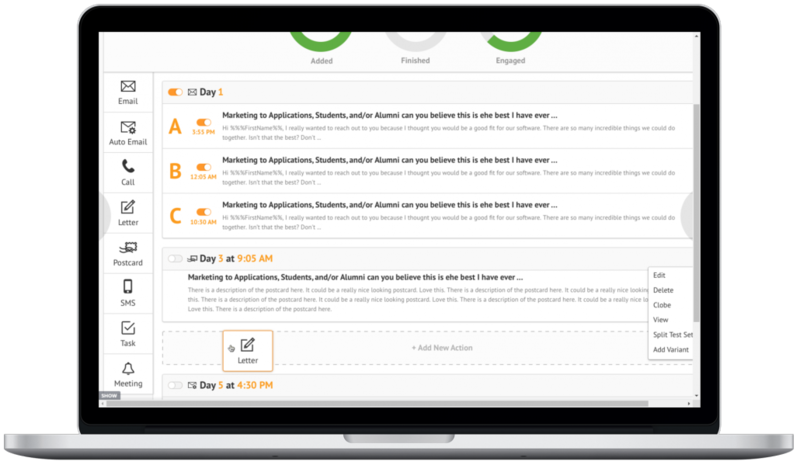 Click here to jump to a list of our Sales Enablement features. Sales is all about establishing a rhythm. 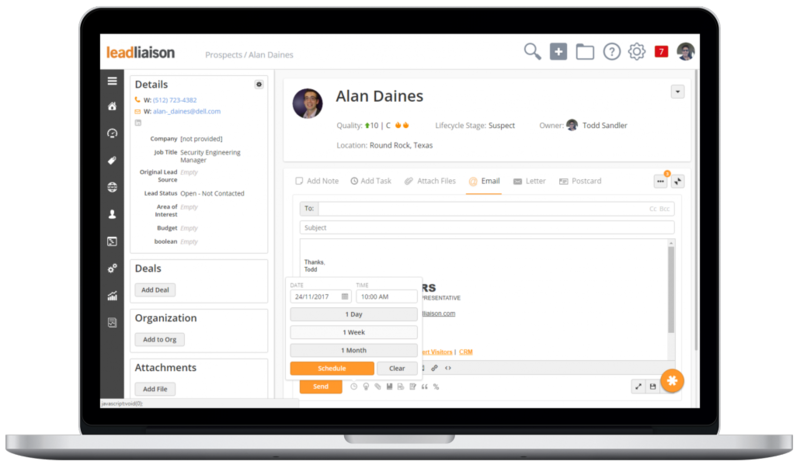 With the industry’s only combination of offline/online sales capabilities, Lead Liaison makes account-based marketing and prospecting easy. Get ready to blow your sales quota out of the water! Learn more about Rhythms™ here. Send email directly from a Prospect Profile. Use an inline compose window or popout version to maximize multi-tasking. Give BCC the boot! Never worry again about having to save email to a profile. 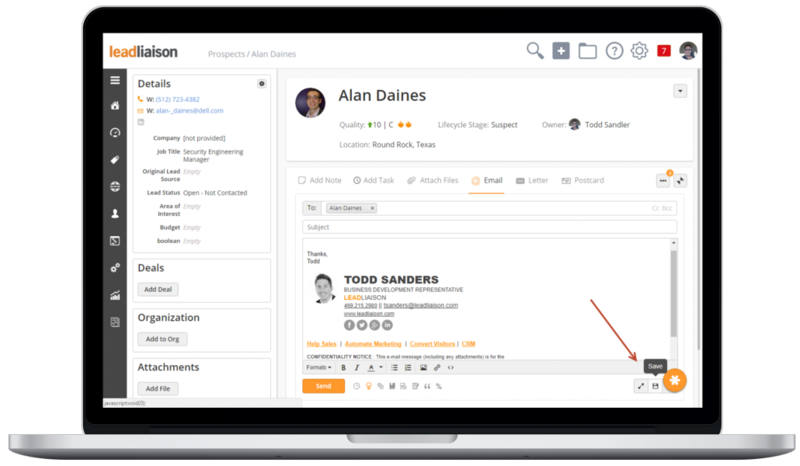 Emails and threads are automatically joined to Prospect Profiles and visible in the timeline. Reply and forward straight from the timeline! Use one or more popped-out compose windows to send email. Minimize windows to the bottom of your screen to complete other tasks. Finish your emails later! Write your message now and schedule it for later. Excellent for follow up. 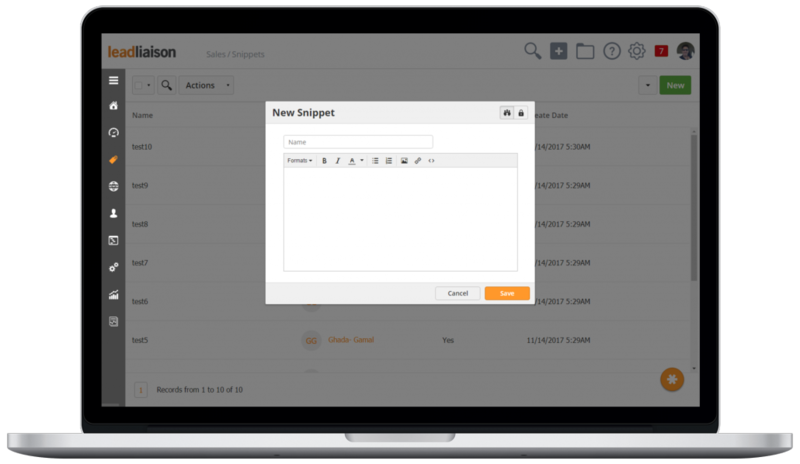 Trash the tasks and calendar reminders, automate your follow-up. 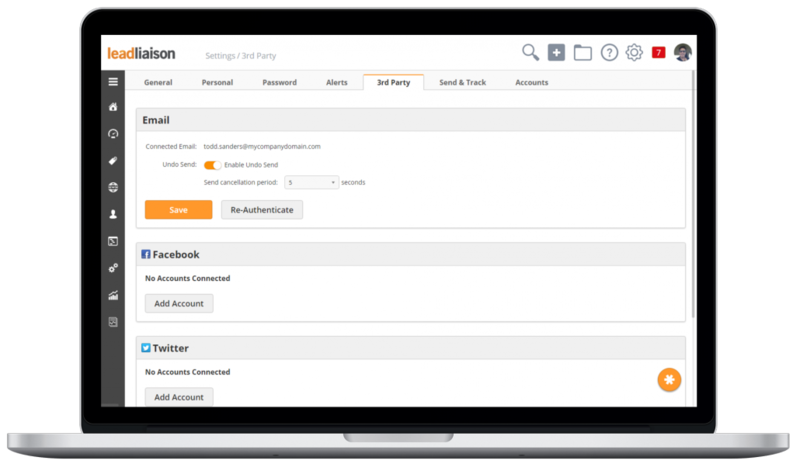 Send email from anywhere, using any email provider and we’ll track it! See messages and threads, track opens and replies, all in the Prospect Profile. 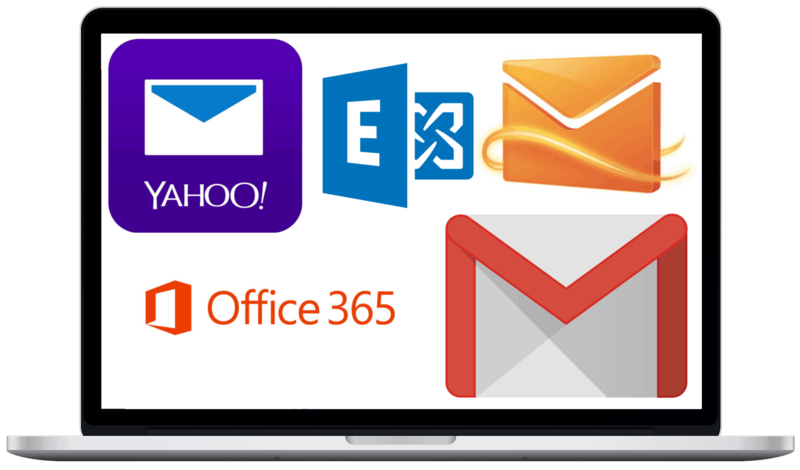 We support Gmail, IMAP, and Microsoft Office 365 / Exchange and many more! 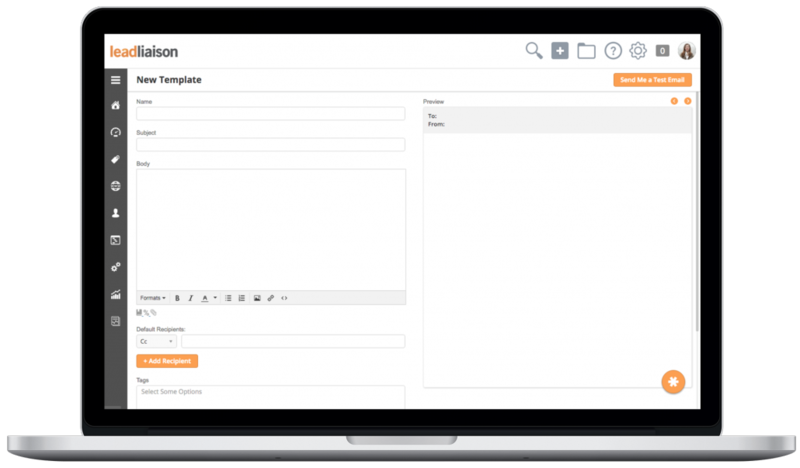 Create private or shared sales email templates to easily insert into a new email compose window. “Ooops!” no longer. Send your email with a delay. Change your mind or have something to edit? No problem, undo your send with a simple click. Insert short sentences or paragraphs (snippets) that are commonly used in your communication. Save yourself precious time and get on with selling. 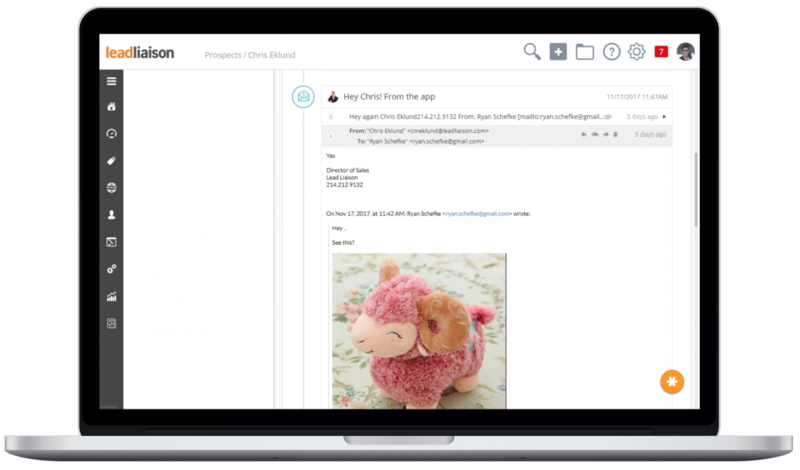 Easily insert rich-looking email signatures based on who you’re sending to. 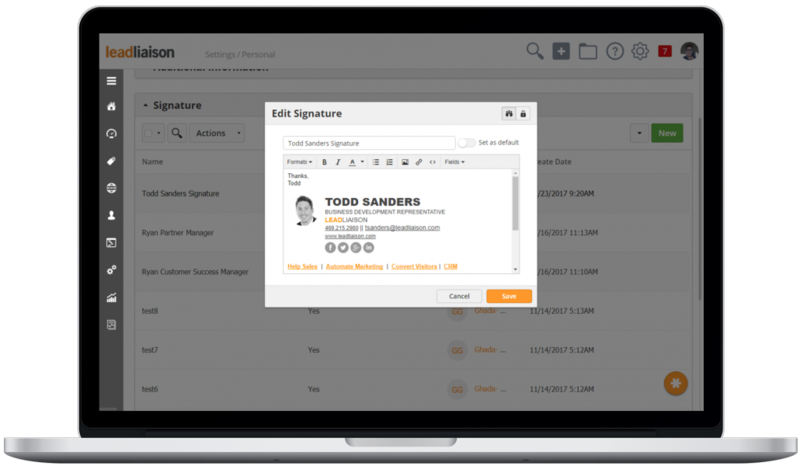 Create private or shared signatures. We track all email replies. Receive an email or Lead Liaison Task if a recipient fails to reply after a specific time period. Save email drafts to work on later. Compose a message, save it, then return later and pick up where you left off. 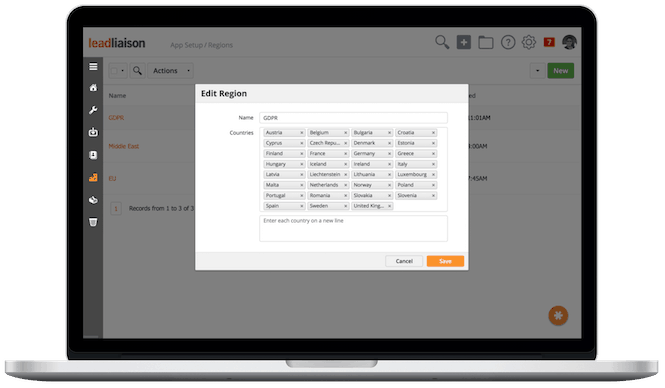 Dynamically insert any of Lead Liaison’s standard or custom field data into an email message. 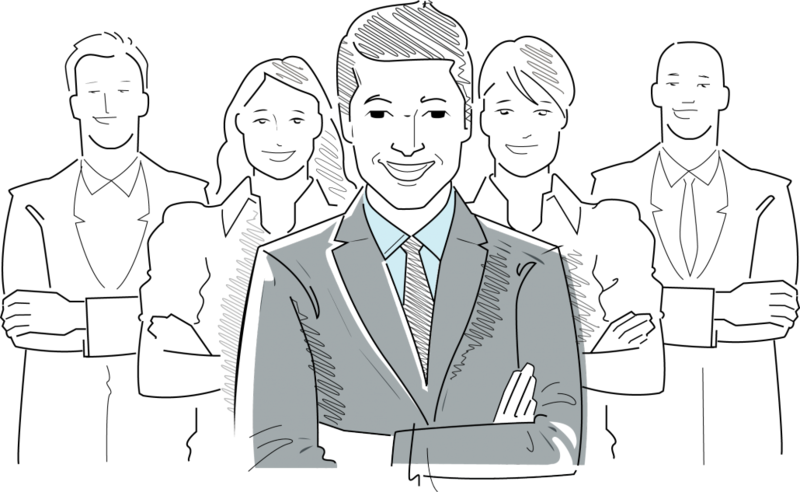 Make life easy for sales reps. Automatically create new Prospects using only an email address and new accounts using only a domain name. We’ll do all the rest of the work by completing the prospect or account profile using information from social media, technographics, firmographics, demographics and more. Strengthen marketing campaigns with richer data sets.